How to transfer TV shows to iPod Format Using Lenogo TV to iPod Video Transfer? 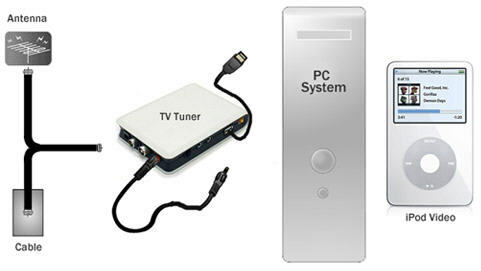 Select and install a suitable TV Card including PCI Card and USB external card, which is a huge computing job. Connect the Cable or Antenna. 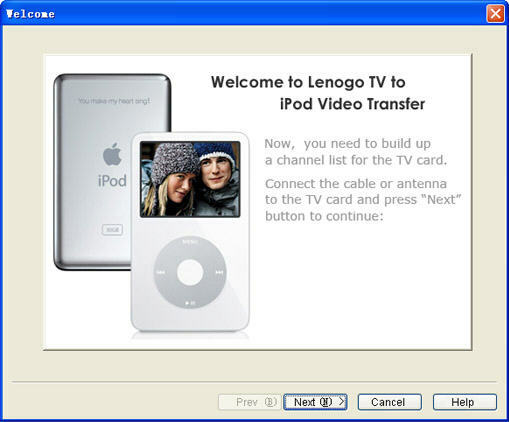 Launch Lenogo TV to iPod Video Transfer, and you'll see a welcome dialog as below. Click "Next" button in the welcome dialog to continue. In the "Channel Manager" dialog select a TV tuner input source and click the "Auto Search" button. Once you click the "Auto Search" button, the software starts searching TV channels automatically and forms a channel list in numerical order. 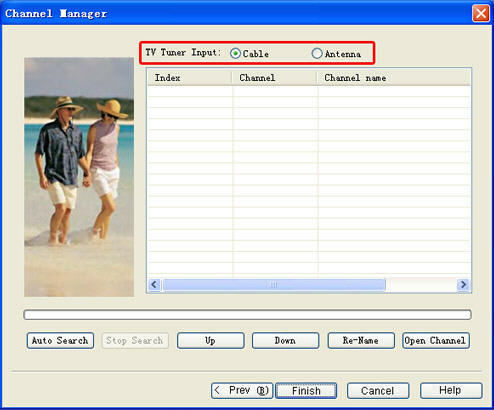 When channel searching is finished, you may select a channel from the channel list and watch TV on PC. While you are watching TV on PC, you may manage the shows easily using the control panel on the right. To record the TV shows into a video file, click the "Start" button. The video file is automatically saved as a file directed by the "Save as" blank. You may also "Browse" to change the directory. To make recording settings, click the "Setting" button to call up the "Settings" dialog. The "Video" item is for setting video properties. Ordinary users may just leave the settings as defaulted while veterans may make more customized adjustments. Then click "OK" to start recording. Click the "Schedule" button to call up the "Schedule" dialog. Using the scheduler, you may record an upcoming program or let the software do recording unattended. When you want to finish recording, just click the "Stop" button. Go to the directory shown by the "Save as" blank, put it in your iPod, and enjoy it in your car.